I was doing well until everyone died. If Victor Frankenstein, John Hammond, Hubert Farnsworth and George Burns have taught me anything, I’ve learned that nothing good happens when you try to play God. In fact, you’ll find that along with “treat all races with respect,” “don’t mess with the space-time continuum,” and “every planet in the galaxy has a breathable atmosphere and humanoid life forms,” science-fiction kind of riffs on that idea ad infinitum, like when your roommate picks up a guitar, teaches himself the bass line to Smoke on the Water, then never feels the need to learn anything else, ever again. Don’t play God, you’ll only bring chaos and ruin to the world and resurrect the ones you love as horrible, zombie-like monsters who would beg you to kill them if only their tongue hadn’t dropped out the window on the car ride home. We got it, sci-fi. We hear you. Life arose naturally, so obviously nothing created by man could ever even come close to god’s perfection. Except for cooked food, medicine, vaccines, clothing, indoor plumbing, solar energy, written language, space travel, and the million other innovations discovered over the past three million years. But life, no, life just couldn’t possibly ever fall within our grasp. Can you move on? 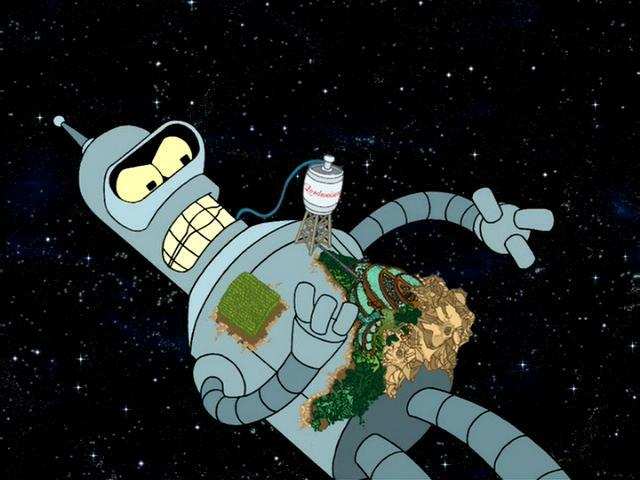 Even in fantasy worlds, a Bush ruins the housing market. 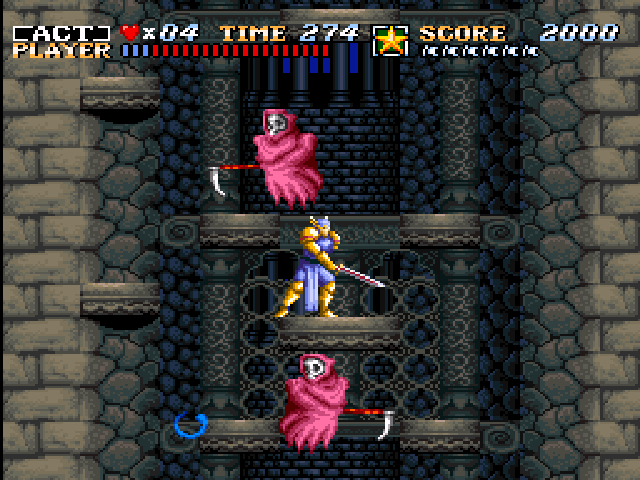 Except, as I learned from Enix’s 1990 SNES release, Act Raiser, I actually rather like playing God. The premise behind the game puts you in the role of God, smiting monsters, performing miracles, and engaging in basic civil engineering in order for your human children to survive in a world beset by Satan, his monsters, horrible tragedies, and temptation. During the cartridge-based console era, Nintendo had a strict censorship policy when it came to anything in a game even remotely religious (Well, Christianity. Note that FFVI includes “Pearl” instead of “Holy,” but Hindu and Muslim references to Shiva and Ifrit slip by without a care). Act Raiser attempts to appease this policy by re-naming God as “The Master,” and Satan becomes “Tanzra.” (Not until Roxas and Xemnas would the world see a character so obviously named using an anagram of their real name with one extra letter thrown in!) However, considering that the game gives you an angel as a personal assistant, shrines where people pray to you for miracles and give you offerings, and the ability to smite enemies and control weather, I’d say Act Raiser must have slipped by the Nintendo censor the day he got high and finally managed to shag Deanna from marketing. Act Raiser would fit in very well with modern games, as indie developers seem to have gouged out a niche in the industry where they praise quirkiness, and the more forced it seems, the better they expect the game to do. Does it star a high school cheerleader who moonlights as a spy? A rhinoceros conscripted by a faction of Russian freedom fighters? A sofa who can call upon skills learned in his past life as a lobster? Wonderful! Except with Act Raiser, the quirkiness of a side-scrolling arcade-style action platformer interspersed with urban development simulation sections seems neither intentionally quirky, nor forced. Game play alternates between two modes. The game begins with a flying toddler suggesting you go down to earth and kill some stuff to make room for people. 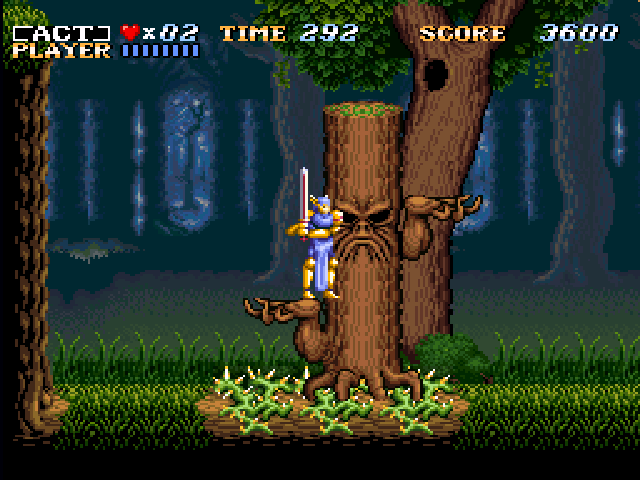 So he beams you down into the statue of a viking warrior and you begin an arcade-style dash through a forest, looking for the boss. 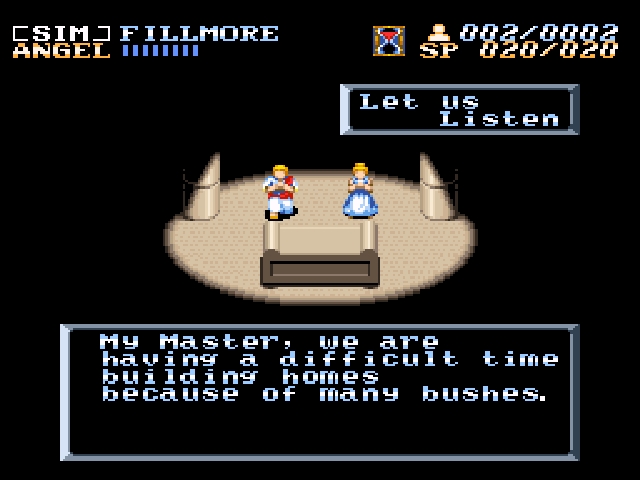 After winning, you found a town and name it Fillmore, thus beginning a long tradition of humans questioning the judgement of God. After spraying divinity-strength insecticides on the town, you have the option of either moving on to smite more monsters elsewhere, or entering an urban development mode. 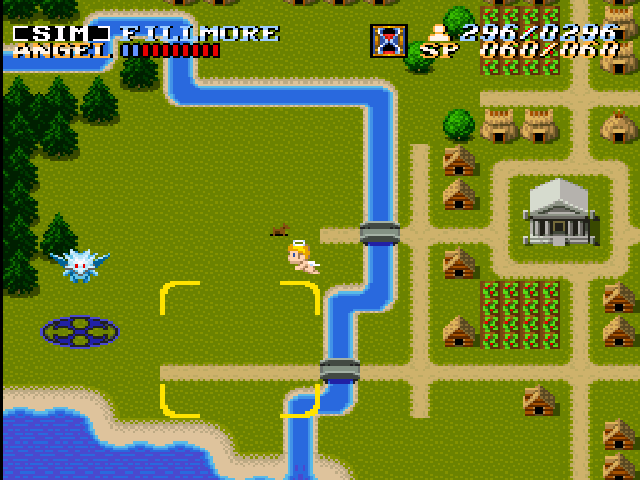 In this mode, rather than raising taxes like in Sim City, or hunting for resources like in Warcraft or Age of Empires, you have to fend off monsters while expanding the town toward their nests, which the townsfolk will automatically seal when they arrive. 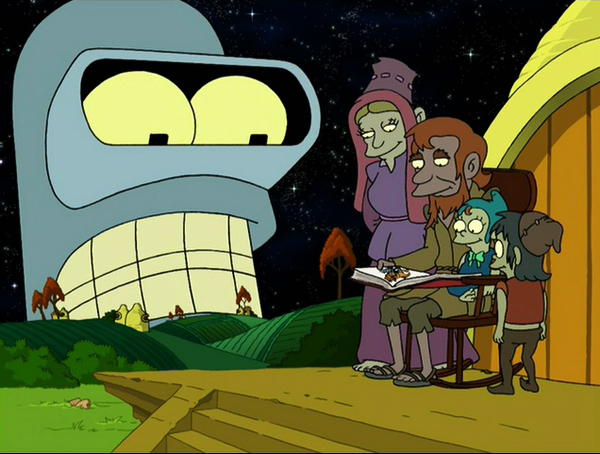 The master utilizes the ultimate in mobile home technology, but all the other gods still look down on him as trashy. While interesting and I suppose sort of fun, the urban development sections lack variety. The monsters don’t really do much to slow down your progress, and I don’t think they can give you an outright Game Over. You control the angel in these sections, but when you lose all your health, he takes a minute or two to change his diaper, freshening up until he finds a second wind to keep launching arrows at the winged beasties. Only a few things can hamper your growth here. First, the landscape usually requires some sort of miracle to clear off enough to build. However, your ability to perform miracles regenerates as you fly around killing monsters, while the town construction usually proceeds almost as quickly as the Atlantic Ocean threatens to swallow Florida, so I never really felt any sense or urgency here. Oddly enough, your town population, rather than your performance in battle, levels up your character to have more health and MP in the arcade sections. After building up your town to certain levels, the townsfolk will offer you some innovation that you’ll have to impart to people elsewhere, or will find find some item to help themselves or other towns expand, or they’ll discover a second monster lair, and you’ll have to dive in and machete a path through their innards before they do the same to your people. And…yeah. You keep building up your town, then hacking through monsters. Really not much to it. 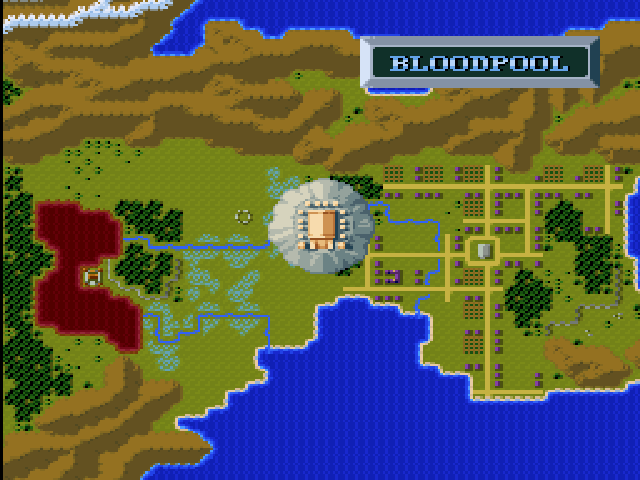 After fully developing all six towns, a boss level will open up, and you’ll charge through the final bosses for each town once more before fighting Tanzra. The difficulty has a tendency to spike here…………. 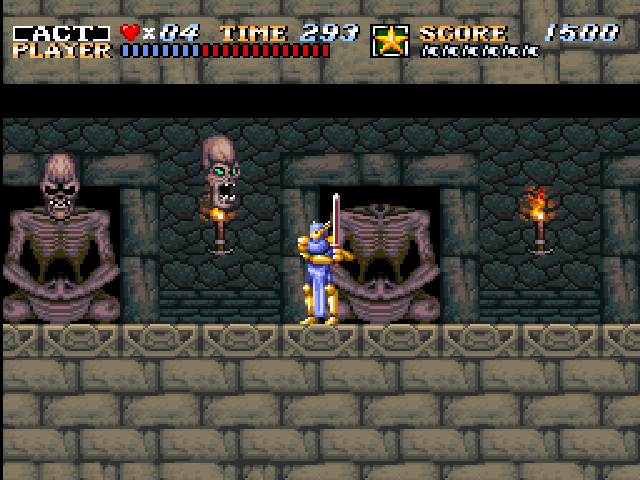 Creepy castles, Medusa heads, vampires that turn into gargoyles, and fights with death…I thought I reviewed Castlevania last month. The game fails to explain, however, that your performance in the platforming levels, the items you pick up and the score you achieve, all determine your maximum population in the urban planning sections. But you know, people ought to figure that out, right? At the time Enix released the game, high scores had only been irrelevant for…I don’t know…eight or nine years. Except, of course, on Nick Arcade. This entry was posted in Act Raiser, SNES and tagged Act Raiser, SNES. Bookmark the permalink.